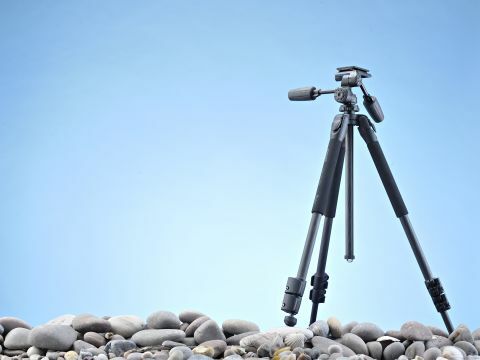 A carbon fibre tripod kit, complete with three-way head, for just £80. Where's the catch? Carbon fibre tripods are notoriously pricey, often costing upwards of £300 once you include a head. That makes the Jessops Major Carbon Fibre look an absolute steal at £99 RRP or as low as £80 if you shop around, especially as it comes complete with its own three-way head. It's not only easy on the wallet, but also easy on the back, weighing just 1.8kg. That's a whole kilogram less than most aluminium tripods. But is it all good news? Jessops stipulates a maximum load of 5kg for the Major Carbon Fibre tripod legs and 6kg for the three-way head that's supplied as part of the complete kit. That's pretty respectable, especially considering that the tripod itself only weighs 1.8kg. By contrast, the Hama Omega Carbon II carbon fibre tripod and ball head has a lower 4kg load rating, yet it's a weightier 2.7kg to carry around. With three sections, each leg has two quick-action clip locks, and comfort padding is fitted to the upper sections of all three legs. The leg sections have diameters of 22mm, 20mm and 17mm, which is rather thinner than normal and the main reason that the tripod weighs so little. The camera tripod's centre column can be inverted for ultra low-level shooting, and there's also the provision of no less than four different leg angles to choose from, where most tripods only offer three. Using wider leg angles, you can shoot at a minimum height of 48cm without inverting the centre column, which also features a weight hook at its base. There's a bubble level on the shoulder of the tripod legs, plus another one in the head. The second is rather superfluous, because it's not mounted on the camera platform, so simply duplicates the information provided by the lower bubble level. The upshot is that it's easy to level the tripod legs, but there's no indication of whether or not the camera itself is level.